The RawSoul was hooked on House Music in 1986 at the tender age of 6 years old, when his uncle, a bedroom DJ at the time, introduced him to the sound of Chicago House. The RawSoul was already familiar with the late Disco and R&B sounds of the early 80's, but that percolating House rhythm totally changed his musical tastes. He still clearly remembers his uncle's words : "This is the sound of the future"! Three years later, The RawSoul accidentally discovered the legendary Tony Humphries' Kiss FM radio show during a one-night stay in Jersey. That changed his life forever. From then on, there was no turning back. He acquired some cheap turntables, a mixer, a few 12" records, and everything was set for a new journey. In 1995, The RawSoul began to do guest spots on Montreal's infamous "Noir et Blanc" radio show, along with his new partner in crime "Mr. O". Gigs in various local clubs and many radio show appearances ensued. 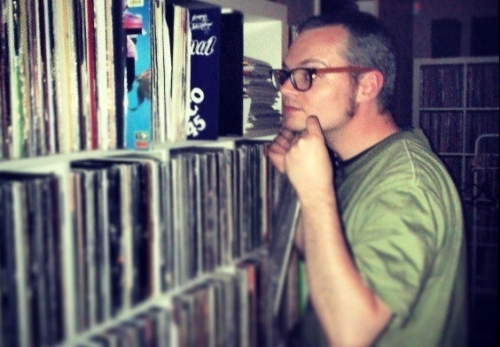 After several years of leaving his signature mark on House heads, The RawSoul went behind the scenes and started massively collecting records by working at various local Montreal record stores such as Rotation, Pop Shop & Primitive. Today, as always, The RawSoul likes to define his sound as "Soulful Dance Music from the past, present & future". He has an unmeasured love for the Deep House and Garage sounds, but he likes to mess around with Old School Hip Hop, R&B, Reggae, Detroit Techno, Soul, Jazz and anything else that exudes lots of soul and deepness.